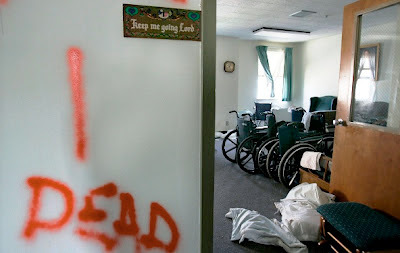 ~ ~ ~ EPC Updates ~ ~ ~: Nursing Homes and Disasters - Where to Now? Nursing Homes and Disasters - Where to Now? We found no State currently had a specific regulation about contracts for transportation for evacuations... (even though such) plans ended up being inoperable in recent large-scale disasters because all nursing homes had contracted with the same few companies, and/or federal or State emergency authorities had commandeered all the available vehicles.